Show your intense love by sending this Toothsome Munch Tray to the dearest people in your life and make them feel special. 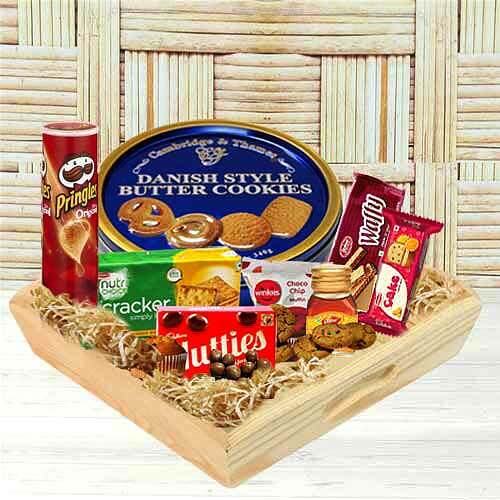 This Chassis is teamed with Tea Time Hamper containing Britannia Fruit Cake, Winkies Cup Cake, Pringles Small Chocolate, Waffy Wafers, Dabur Honey, Britannia Cream Cracker and a Cadbury Nutties Box. Note: Gift container may vary depending on availability.